It's time to let go of the fear. 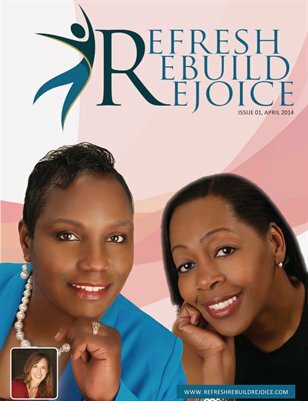 At RRR we help you refresh, rejoice and rebuild your life. We've been there. We empower you, we listen, we help you develop a plan, and we support you. Let's get started...to rebuild is difficult, but we will support you through the journey...but you will have to lead. You can do this! Get started today! Come out and join us, take a break, and attend our meetup. We laugh and talk about life. We share our stories and strategize. You'll be glad you came. Click here to Join now! As I listen to conversations like; “I can’t believe Christmas is over” or “Now I have a bill I can’t afford”. Reflect on why we celebrate Christmas? Did you have breakfast, lunch or dinner today? There are so many people, newborns, young and old who’s answer to this question, would be ‘No’. Understand that for those of us who have the choice to dine when we’re ready are truly blessed. Let's get started...to rebuild is difficult, but we will support you through the journey...and you will have to lead. You can do this! Get started today! Do not wait for something to happen. Take the lead. Believe that you can succeed. YOU CAN DO THIS! Restore your faith. Disclaimer: Refresh, Rebuild, Rejoice is a support group. We may provide and share our experiences, opinions and information regarding the divorce or breakup process, but Refresh, Rebuild, Rejoice does not provide professional legal, financial or mental health services or counseling. Please consult a licensed professional for any services you may need.